Over 720 sqm, this impressive architect designed office overlooks Coventry Street's cafe & retail strip offering a rare opportunity to locate your business in one of Melbourne's most desirable locations. 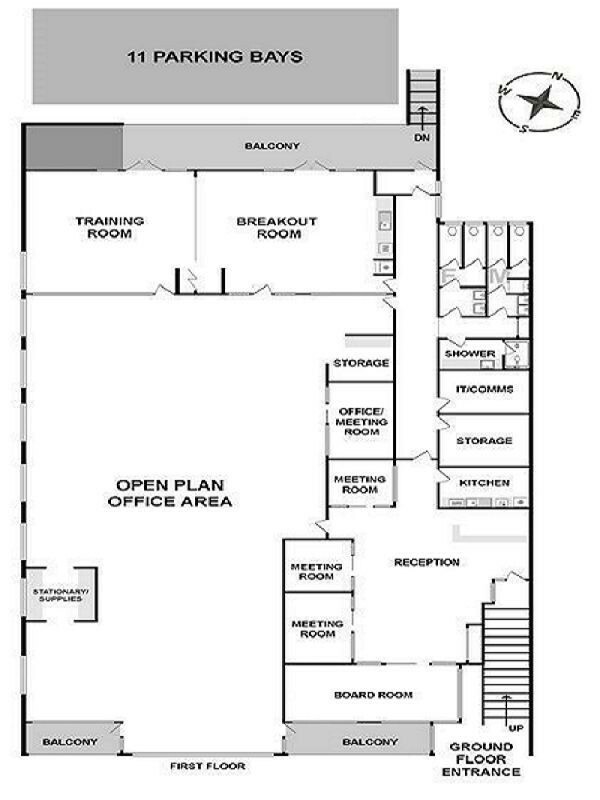 Comprising an open plan area with work stations accommodating approximately 60 staff; the fit out also includes 2 kitchen areas, board & meeting room, tranining room, server rooms, printer room & offices. Fully air conditioned with an abundance of natural light and within easy access to the South Eastern freeway, City Link & Dandenong Road/ Kings Way. 11 secure car spaces are available with the premises over the base rental, but as the office is well serviced by public transport via, tram, bus & light rail; your staff will be well serviced whilst further enjoying the excellent amenity of the area. This includes the iconic South Melbourne Market as well as 2 shopping complexes and the rear timber balcony/deck providing a charming out door dining area.